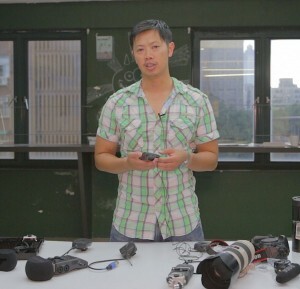 This corporate video & audio training production course gives an overview of the camera, sound, bag and lighting gear you need to record a professional corporate training video. 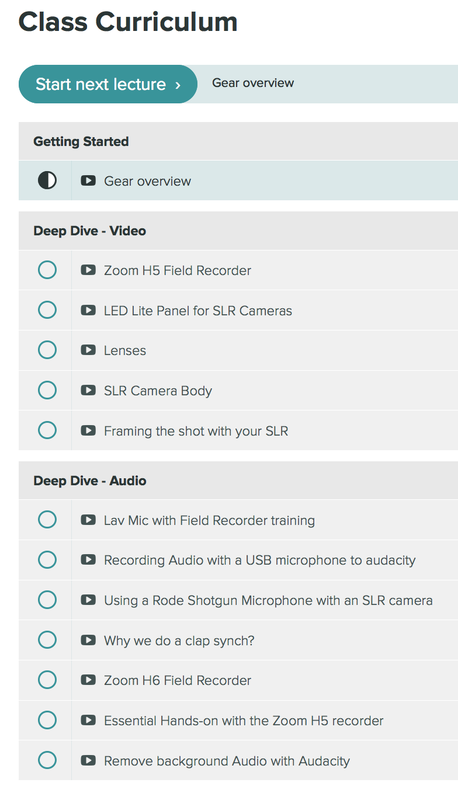 What makes this mini course unique is that I cover the H5 and H5 zoom field recorders and how you would use them in with a lav mic setup. There is a heavy focus on helping you improve your audio recording for your videos. Why? Because when I was starting out with video I realized that your overall production value is measured on the audio quality as well. A great looking video with poor audio doesn’t come across as premium. I had to improve my audio game, but there wasn’t a lot of resources on that. The course covers everything you need to improve your video and audio quality. From SLR cameras, lenses, sound and lighting. Technology has changed quickly in the video world. There are new tools to produce with, but it can be confusing to figure out the specific steps to do so.